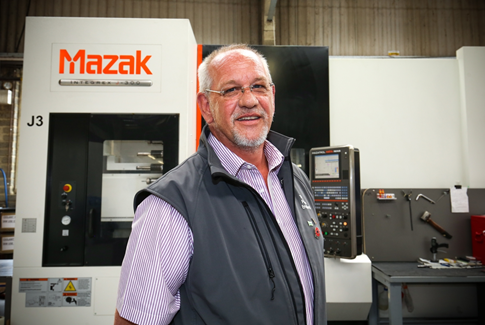 A continued investment in both people and machines is making Truturn Precision Engineering into the subcontractor to watch in the South West. Mr Wilkins is confident about the Truturn business, in part because he has overseen significant investment in recent years that has laid the groundwork for future growth. The company, which is based in Stroud, Gloucestershire, dates from 1985 and has capabilities in milling, turning, fabrication and electrical mechanical assembly work, employing 35 staff with 18 machinists on the shopfloor. From being, originally, a turning business which predominantly serviced the local engineering and manufacturing community, Truturn now has major footholds in the oil and gas, nuclear, food processing and general subcontracting sectors, much of it down to a commitment to cultural change and investment which continues to pay off. In fact, circa 30% of the business is export-focused with Europe, the Far East, Canada and the United States being major markets. Mr Wilkins has been as good as his word, with the Investors in People GOLD accreditation being quickly followed by ISO 9001, the Fit For Nuclear programme, and health and safety accreditations. The company is also currently working towards its ISO 14001 environmental accreditation. New machinery has been central to the transformation and Truturn’s decision to invest in an INTEGREX j-300 was a key turning point. 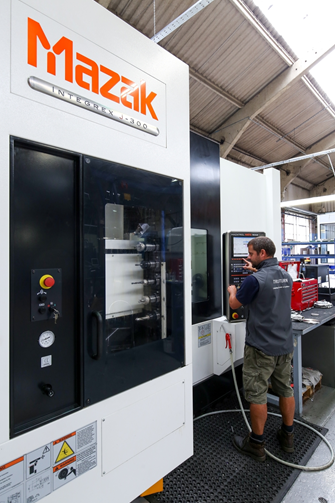 “We knew that if we didn’t invest in new machines, we weren’t going to grow, not least because our customers were looking for us to take cost out of our processes and pass on the savings to them. I would say it was a culture shock for us when we started with it, but it has proved its worth and I would estimate that the INTEGREX j-300 has taken about 15-20% of our costs out of the products. In some instances, even more than that,” says Mr Wilkins.